The CREW Land & Water Trust will be at “Ding” Darling National Wildlife Refuge for the “Ding” Darling Family Fun Day on Sunday, October 16th, 2016. Come visit our table. We will be handing out brochures, program fliers and information about CREW and the trails. “Ding” Darling Days weeklong birding and eco-festival kicks off at J.N. 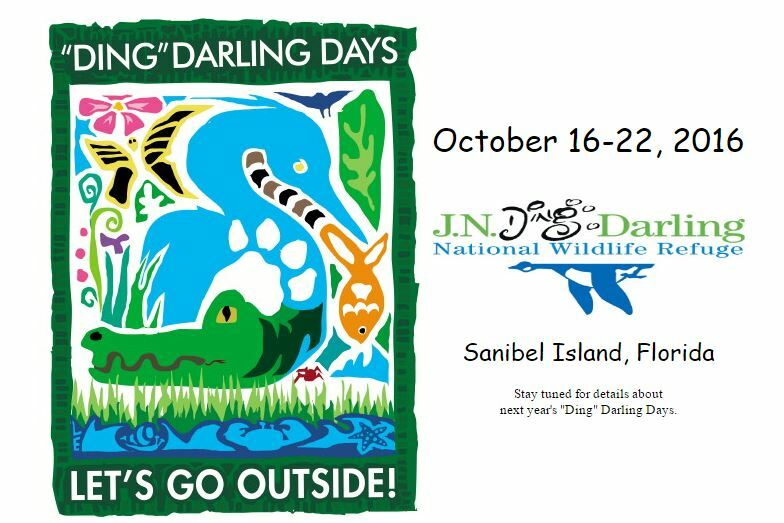 “Ding” Darling National Wildlife Refuge, Sanibel Island on Sunday Oct. 16, 2016 with a free Family Fun Day. Family Fun Day features free activities such as narrated refuge tram tours, live wildlife presentations, kids nature crafts, a touch tank, a butterfly house, a photo-share kiosk, and archery lessons. CREW Land & Water Trust will have an outreach table and a fun track ID activity. Enjoy a day outside with the whole family. For a full “Ding” Darling Days schedule, visit www.dingdarlingdays.com, or call 239-472-1100.